Our organization is engaged in providing patrons Phase Chain Saw Machine which is precision-engineered Chain Saw Machine. These products are widely used in seeing mills for log cutting and in the timber industries for cutting size logs. The products are manufactured using best quality of factor inputs under the supervision of skilled professionals. These machines are manufactured following international trends and as per the specifications provided by the clients. 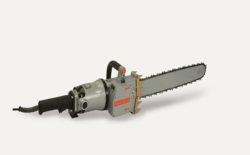 Our company is offering a vast assortment of manufacturing, distributing and supplying Single Phase Chain Saw Machine. 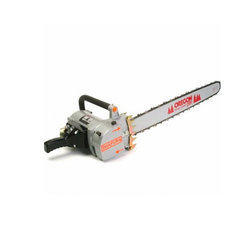 We offer Three Phase Chain Saw Machines to our valued and esteemed clients. These Three Phase Chain Saw Machine are famous among its user for its unique features. The products are quality tested on different parameters by our skilled professionals to ensure that we are delivering only defect free range to the clients. Moreover, we offer the products at pocket friendly prices. Looking for Phase Chain Saw Machine ?